Just added a couple more pictures taken this morning. I love this look! 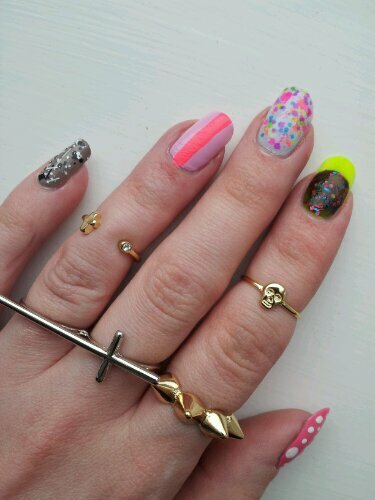 Your nails are totally fabulous and the rings and bracelets pull it together so well. I’m following you now and can’t wait to see more posts!! Love the rings. 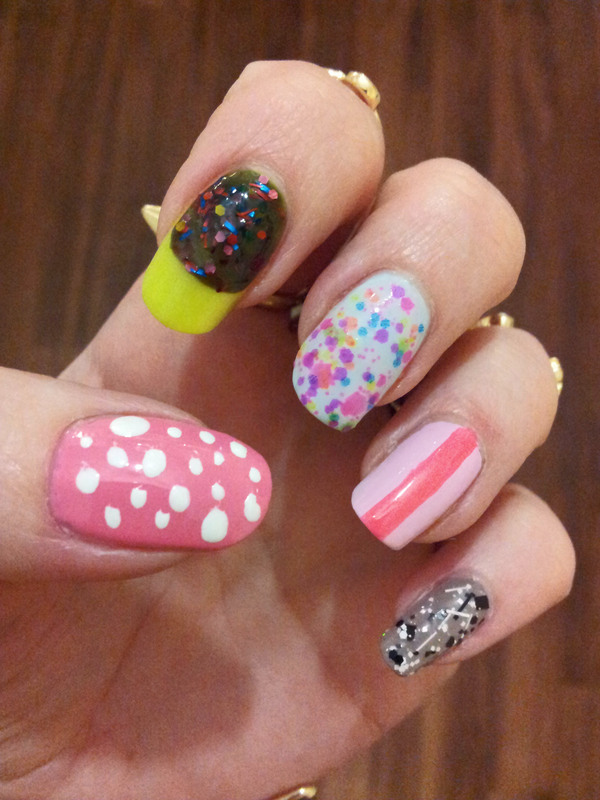 Also love the sprinkle polish on your pinky and the gorgeous deep olive green gel-like polish on the index finger. Wow, what an array of nails! I’m loving nail colours at the moment and like to experiment, but haven’t yet been this brave!